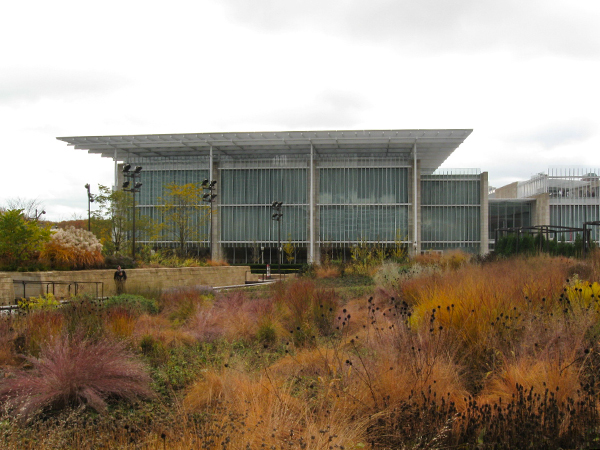 Located northwest of Grant Park (established in 1835 on the Lake Michigan shoreline), the five-acre Lurie Garden is a component of the 25-acre Millennium Park, created when the City of Chicago acquired land from the Illinois Central Railroad in 1997. 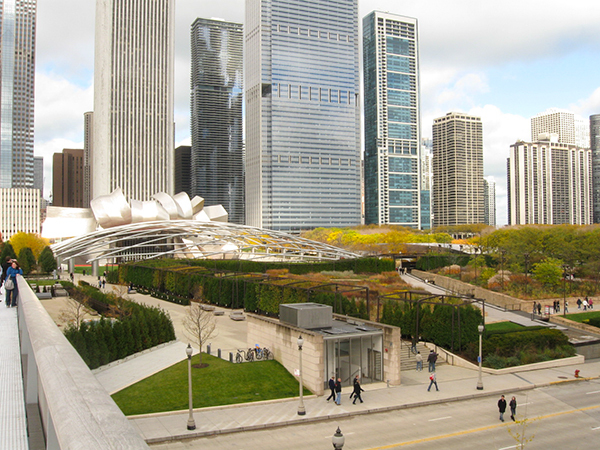 Sited atop a subterranean parking garage, the garden lies between the Jay Pritzker Pavilion (a 4,000 seat bandshell designed by Frank O. Gehry & Associates, completed in 2005) and the Modern Wing at the Chicago Art Institute (designed by Renzo Piano Building Workshop, completed in 2009 ). 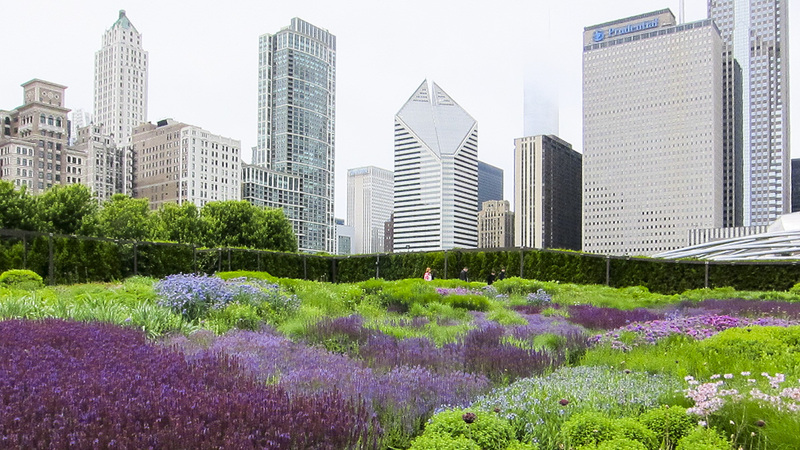 The garden was designed by Gustafson Guthrie Nichol, plantsman Piet Oudolf, local landscape architects Terry Guen Design Associates, with lighting designed by Robert Israel and Schuler & Cook. 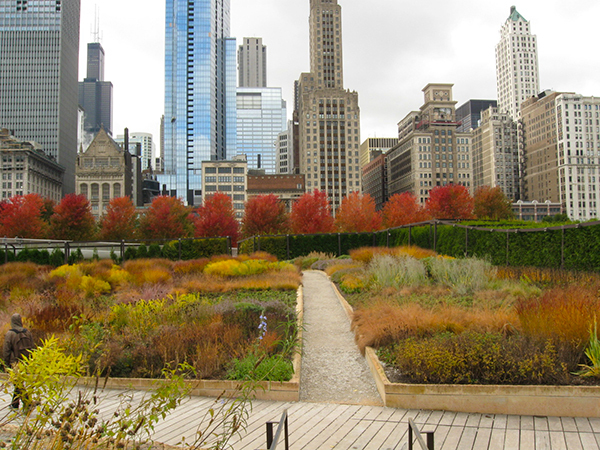 Flanked on the north and west by a fifteen-foot-tall hedge, the garden comprises two distinct rooms bisected by a wooden boardwalk that floats atop a canal-like water feature. 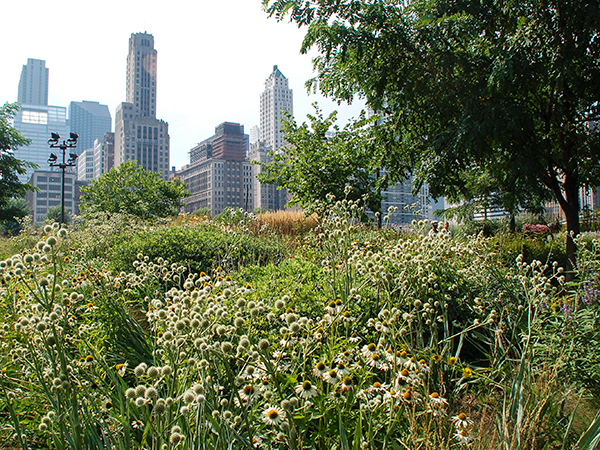 To the west of the boardwalk, dynamic sweeps of perennials create a constantly evolving palette of colors and textures, representing the Midwestern prairie. 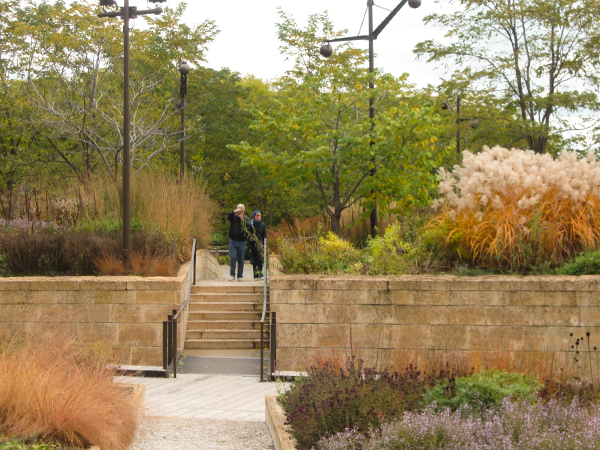 To the east, inspired by immersive marsh ecologies, a raised section comprises masses of subtly toned groundcover, shrubs, and trees (including black locust, redbud, and cherries). Breaking from the structural massing found throughout the garden, the southern sections of both rooms are loosely planted with mixed meadow perennials. Several axial paths provide circulation throughout the gardens; limestone and granite are used for retaining walls, steps, and curbs. 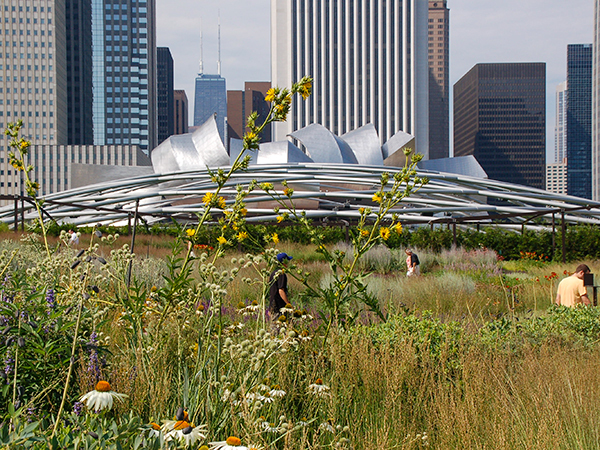 In 2008, the Lurie Garden received the Award of Excellence from the American Society of Landscape Architects.